Oh, the dry hair woes! The comb doesn’t glide through, hair snaps and breaks, and there’s no shine or life in the hair. With all these issues, it’s easy to be lured by an advert which promises a quick fix. The model applies some miracle product, and in an instant, her hair becomes shiny, gorgeous. Seriously! You must have tried many such products, but how come they didn’t work. Did you do something wrong or is your hair just no good? These are some of the thoughts that must be circling your head. But hold on, before you curse your hair any more, I would like to tell you that there’s no ‘one product’ that will solve your hair misery. Yes, you heard that right. No one product will, but many small steps will change the look and feel of your hair. 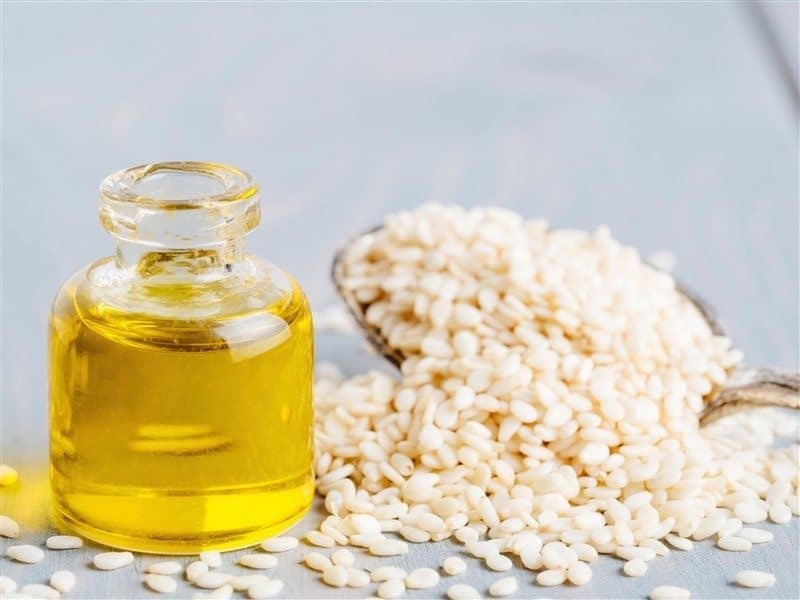 In this article, I am showing you a traditional approach to care for the hair: so get ready for oiling, herbal deep conditioning and feeding your hair healthy fats and vitamins. Of course, this is not an overnight fix, but with each passing day, you will uncover your hair’s natural luster and beauty. Here’s the no-shortcut but assured route to stunning hair. Under your scalp lies lovely oil glands and there job is to make sebum or natural oils. This is no ordinary oil. It’s your very own homemade (scalp-made) conditioner. When you comb your hair, sebum slides down and coats your hair lightly. It keeps the hair soft and smooth as well as offers protection from the sun and wind. So please don’t wash them down the drain. Cut back to washing just one or two times a week – this will give your hair chance to replenish those nourishing oils. Tip: Do the last rinse with cool water, it will add shine to your hair. Blow dryers are not friends of dry hair. While blow drying helps to dry up hair quickly, the hot air evaporates most of the moisture from hair and over time will cause breakage and split ends. After washing hair, you can wrap it up in a thin cotton towel or t-shirt, which soaks up maximum water. So your hair can dry quickly, but still, have enough moisture to look soft and beautiful. Tip: If you must use a dryer, use it on a cool setting. You might think that straightening hair treatments will solve your hair problems. But you are only putting it under the carpet, without addressing the actual issue- which is moisture. And I am sad to say these chemical treatments will make problems worse, and cause your hair to become further dry and stiff. The good news is that when you stop these harsh treatment (or hair abuse as I would like to call it), your hair will start to repair itself. Head massage is the feel-good fix for dry hair. Massaging increases blood flow to the scalp which brings more oxygen and nutrients to the hair and even normalises oil production. Also, regular head massage will help move the natural conditioning oils from your scalp down to the hair shaft and ends of your hair – this is especially beneficial for those with dry hair. Get into the habit of giving yourself a scalp massage before going to bed. Using the tips of your fingers, massage your scalp in light, rhythmic motion. Plus, it’s very relaxing and will help you sleep better. It’s not necessary to use oils for head massage, but it will help a great deal if you use them. The nourishing and conditioning properties of oil reduce dryness and enhance shine and softness of hair. Best oils for dry hair are olive oil, avocado oil and sesame oil. Massage the oil into your scalp and hair and cover your hair with a scarf or cloth and let it sit for at least an hour or overnight if you can, and then wash with a natural shampoo. What we eat and drink plays a big role in how our hair comes out of the follicle. If you want your hair to grow healthy and shiny, you need to feed it well. Include Healthy fats: they moisturise the hair from the roots. Some great choices are oily fish like salmon, mackerel and sardine, nuts and seeds such as: walnuts, sunflower seeds, pumpkin seeds, sesame seeds, flax seeds. You can also drizzle their cold pressed oils for salad dressings. Increase your intake of fresh fruits and vegetables, especially carrots, sweet potato, papaya, melon, guava, pumpkin, and squash, which are all packed full of beta carotenes. Beta carotene converts to vitamin A – which is needed to keep the hair soft, shiny hair. The mineral zinc helps with working of oil glands around the hair follicles. And as you know our natural oils are best to condition and moisturise hair. Dry scalp and hair also mean dehydration, so drink 2 to 3 litres of water daily. Spending lots of time in the hot sun can fry your hair. It’s a good idea to protect your hair, just as you would your skin, by covering it up when you know you’ll be in direct sunlight for hours at a time. Wear a sun hat if you are going to be in the sun all day. Before swimming, apply some oil and/or wear a swim cap, this will keep your hair safe from sea or pool water. Homemade moisturising hair masks can do wonders for dry hair. I prefer homemade because you know what you are putting in your hair, no garbage filler and preservatives that may be harmful to hair and skin. Again, you don’t have to buy a leave-in conditioner. Use oils like almond, argan and olive or butter like shea work great to keep your hair from getting frizzy and puffy throughout the day. Apply a few drops to damp hair – this will seal the moisture within the hair. This step is critical—apply to damp hair because if you put it on dry hair, oil will just sit on the top of your hair and appear greasy. No matter how much oil you douse on, dry hair generally loses most of the moisture by the end of the day. Spritzing floral water or just water is a great way to replenish lost moisture. You can create some amazing hair sprays at home. Here are recipes for rose spray, aloe vera spray and marshmallow root spray. I have given up using store bought conditioners five years back and have never looked back. Store bought conditioners contain detergents, silicone and preservatives. These can clog hair follicles, irritate your scalp. My favourite conditioning herbs are marshmallow root, sage and hibiscus. They work superbly well to hydrate and nourish every strand of your hair, no more dryness and frizz, only soft, shiny and happy hair. That’s a good question. I use two thin cotton towel and that takes most water away. If I have to go out, I wrap a scarf and remove when indoors. So happy to know I already do most of these! Air drying, scalp massage, never using blow dryers or heat, and I can’t wait to incorporate some of your techniques! It’s true that these tips will lead you to have the best natural soft, full, shiny, luscious, and ALIVE hair of your life. I stopped using shampoo 3 years ago and it has made a huge difference. Love your hair and it will love you back! Thank you for your tips! You have definitely got me doing some mindful scalp massaging and it is incredibly relaxing. I am definitely going to try some of your rinses (since I am already doing most of the rest). I am so glad you found it useful ! let me know how the hair rinses work for you. never dry it with a towel, I use an old, soft T-shirt. Switching to the t-shirt has been one of the best things I have done for my curls, too. Thanks Ani, Yes cotton t-shirts work so well to soak the water. I must say.. a very informative article.. Thanks so much for sharing this valuable information.